A part of Pasig River showed great improvement when residents were able to catch tilapia, a common freshwater fish. Photos of Filipinos from Barangay 900 at Punta Santa Ana with their tilapia catch were shared by the award-winning Pasig River Rehabilitation Commission on Facebook. However, the group warned that the fishes may still contain traces of harmful toxic chemicals since the waterway has not been fully treated. “The Pasig River Rehabilitation Commission – PRRC on the other hand, reminds everyone that though this is proof of the river’s significant improvement, these fishes may contain traces of toxic chemicals that may cause harm to one’s health. Thus, utmost precaution is advised,” it said. It cited a study from the Department of Environment and Natural Resources and the Ecosystems Research and Development Bureau that revealed tilapia and seven other fish species—Manila sea catfish, bighead carp, Indo-Pacific tarpon, snakehead murrel, snakeskin gourami, bluespot mullet and janitor fish—had been living in Pasig River since 2009. Species of aquatic plants, birds, trees and other vegetation were also found living within one of the largest freshwater bodies in the Philippines. The PRRC’s rehabilitation efforts to revive Pasig River, which was declared biologically dead in 1997, won its first Asia RiverPrize awards last October 16, 2018. The river needs 14 more years to be fully alive once again, the commission said. 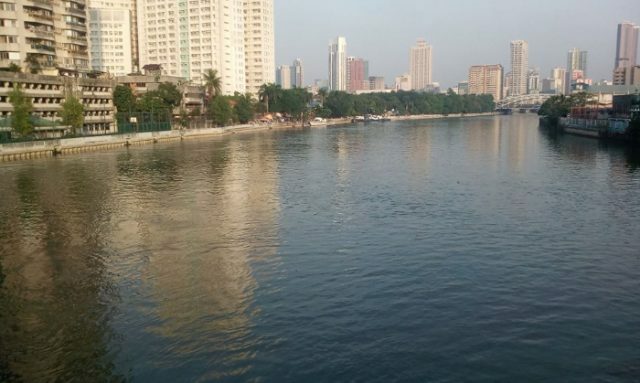 In addition to the rehabilitation efforts of the Pasig River, the administration has also been exerting efforts to rehabilitate Manila Bay which is where the waters of Pasig river flow out to. The Pasig River is 27 kilometers long and connects the Laguna de Bay to Manila Bay. Historically, it was used during the Spanish colonization era as a major transportation route and also as a fresh water source.